Home Newsworthy Spartacus? Little Miss Intersectionality? Who will take on Trump? Spartacus? Little Miss Intersectionality? Who will take on Trump? 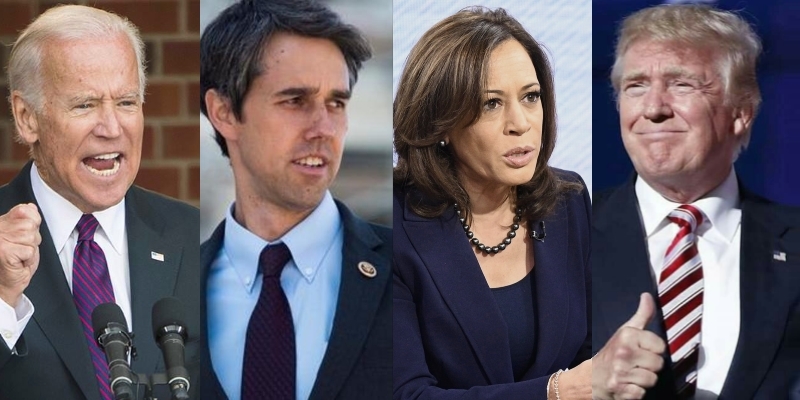 Without yet considering the highly unlikely possibility of a contested GOP primary this cycle, the big question becomes who will seize the nomination to run against President Trump. The Democratic field is filling out quite early, with Democrats falling all over themselves for a chance to take on the current incumbent. Here’s a quick look at some of the more prominent names who have either formally announced or strongly hinted that they’re running. 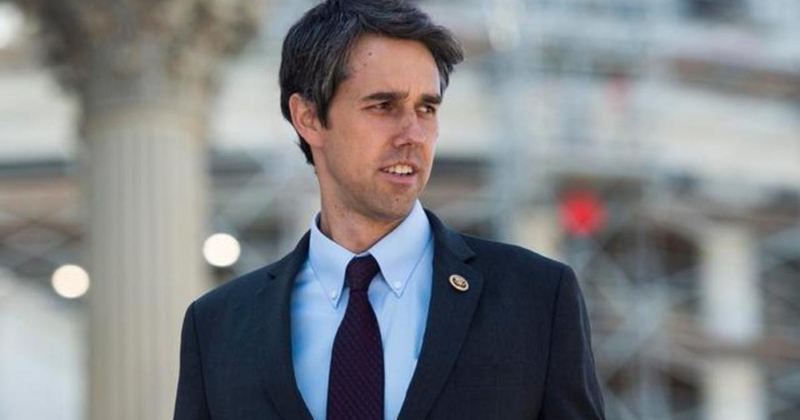 Former Rep. Beto O’Rourke is a bit of a lightweight, but a popular one after his near- miss against Sen. Ted Cruz in 2018. He has little serious experience in government, and the most important thing about him is that his father-in-law is a billionaire. There’s a great temptation to treat him as a frontrunner just based on his performance in Texas, but don’t believe the hype — at least not yet. If he actually makes the run in Iowa, expect to see ads about his drunken driving crash and the lies he told about it (i.e., statements inconsistent with the police record) during the recent Senate campaign. The Democrat who runs the ads about that incident will seriously harm his or her own campaign, but that’s why God made SuperPACs. Just assuming that doesn’t work, let’s think ahead for a moment to the general election. If the winning strategy for Democrats is to portray Trump as erratic and his administration as chaotic, and themselves as a return to stability and normalcy, then they could do better than run a Dave Grohl wannabe as their candidate. Obama had a lot more gravitas in 2007, and he’d only been a senator for two years at that point. Just saying. Pete Buttigieg is running as the bring-back-the-Midwest Democrat. A young face far less annoying than O’Rourke, he brings some serious governing experience to the race, along with the potential (or at least the hope) for recovering Trump Democrats in Rust Belt regions. Buttigieg doesn’t emphasize his homosexuality, but it can only help him in a Democratic primary. The drawback: He’s a small fry. Though he has more and more serious governing experience than Beto, he’s the mayor of a three-horse town. It’s one thing to win a primary for mayor of a city like South Bend, population 100,000. It’s quite another to win a seriously contested national election. Julian Castro was drafted to serve as President Obama’s HUD secretary in 2014, and he served in that role until the end of the Obama administration. That’s the extent of his experience. Whereas Buttigieg’s gig as mayor of South Bend is an actual governing job, Castro’s earlier job as mayor of San Antonio involved little actual decision-making — San Antonio is governed by a city manager. His job was ceremonial by comparison. Will the mere fact that he’s Mexican-American help him? He has to hope for an extremely strong performance in California’s newly important March Democratic primary, and Mexican-American primary voters are by now probably too savvy to pick someone out of a 10- to 20-candidate field solely because of his heritage. And there isn’t a significant Mexican vote to speak of in in the traditional early primary states of Iowa, New Hampshire, and South Carolina. authoritarian candidate. 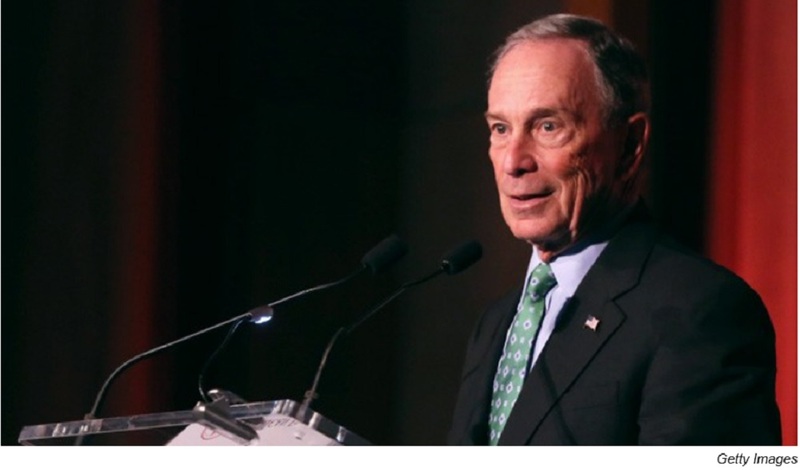 Bloomberg’s key advantages in a Democratic primary are his immense self-funding potential (in the billions of dollars) and his demonstrated, consistent hostility to gun rights. The drawbacks: He’s too white (Jews don’t really count in the Left’s victim hierarchy) and he’s way too pro-Israel, having gone so far as to fly there during the Obama administration’s politically motivated travel ban of 2014. 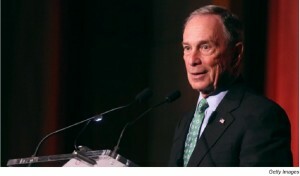 Aside from her lack of self-funding, Kamala Harris is a superior version of Bloomberg in the Democratic primary. Her demonstrated ability to raise money makes her a top-tier contender by default. From the left-wing point of view, the value of your ideas (and presumably of your candidacy) increases in proportion to the number of victim groups you belong to. This means Harris has the “intersectional” diversity that Bloomberg lacks. And don’t forget the newly important California primary. Harris isn’t hard on the eyes either — and sorry, but that does actually matter in elections, although it’s rarely decisive. The drawback: Harris is the West-Coast authoritarian candidate. 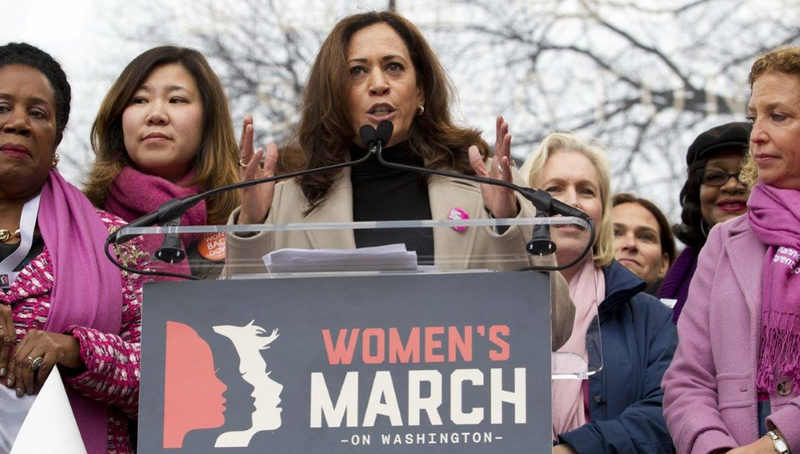 In an era when criminal justice reform has won over both the Left and the Right, Harris has a history as a traditional “lock-em-up” prosecutor, having even defended false convictions obtained by misconduct by the prosecutors she oversaw while serving as California’s attorney general. Another awkward matter is the boost that former San Francisco Mayor Willie Brown gave her career when she was his mistress. But in a Democratic primary that could just hurt the person who brings it up more than it hurts harris. She also undermined her credibility with her conduct during the Kavanaugh confirmation, going so far as to lie to journalists. That’s much worse than just criticizing them. 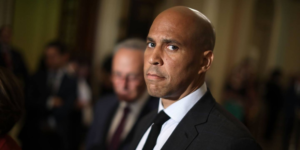 attraction of New Jersey Sen. Cory “Spartacus” Booker for any Democrat who could instead vote for Kamala Harris (if it’s a fresh face you’re looking for) or Joe Biden (if you want old reliable). Booker is already being criticized for over-acting the part. Even worse, as mayor of Newark he supported education reform, which the Democrats’ critical union constituency absolutely hates. Booker tried to get some attention during the Kavanaugh hearings, but it came out mostly negative for him when nothing in the record supported his claims about the judge and racial profiling cases. Former Vice President Joe Biden is also clearly top-tier. He polls best against Trump, and it stands to reason — he’s the one Democrat we would confidently bet on in a general election. His best hope is that there still exists a moderate Democratic vote. The problem is, Biden is also everything the Democratic Party is running away from right now, and that means they may not nominate him. He is white, he’s male, he’s old, and he’s not vituperatively anti-religious in the same way Democrats are becoming as a party. For Democrats, Biden is the “safe choice” — and Democratic primary voters remember exactly what that means from 2016. Barack Obama, meanwhile, has not been overly kind to Biden so far, so it might be too much to count on his backing. Sen. Elizabeth Warren wants to run on the issues of good government and especially the crookedness of the financial services industry. 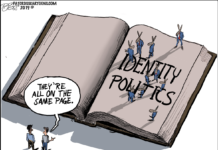 This is a popular issue on the Left, and there’s a chance it could work in a populist-tending state like Iowa. Then again, is that really the issue that’s going to set her apart — just one more liberal in a primary crowded with as many as 15 liberals? Will she get noticed talking about the CFPB and Glass-Steagall? Warren is not venal and self-serving like Hillary Clinton, but she might be even less comfortable in her own skin — her now-famous “beer video” is truly cringe-inducing. This highlights the fact that, from a left-wing perspective Gillibrand doesn’t have any obvious distinguishing virtues as a candidate in the Democratic field. Hence her pretty lame attempt to embrace the out-there language of “intersectionality.” We strongly suspect that this is entirely the result of insincerity, not insanity; it still won’t be convincing to any of the people who need to be convinced. Gillibrand has one thing in her record that she has earned the right to run on in earnest, and it could become a strong card for her to play. She has earned her stripes on the highly popular #MeToo theme of sexual harassment, abuse, and assault. 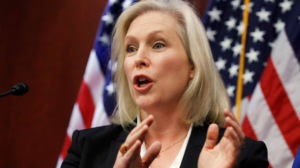 But even there, some Democrats are still sore over the fact that Gillibrand held former Sen. Al Franken to the same standards she’d hold a Republican, resulting in his being purged from office and from polite company. That speaks well of her as a general election candidate, but it won’t help her in the primary. 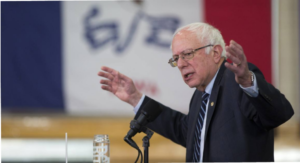 Bernie Sanders was very popular in 2016, and some people still believe he might have defeated President Trump if he’d gotten the Democratic nomination. But will Democratic voters “feel the Bern” this time around? It isn’t so easy, and it’s not just because he’s old as dirt. Let’s face it: Sanders was a much more attractive choice when Hillary Clinton was the only alternative. That isn’t going to be the case this time, with multiple Democrats of all ages and sexes and colors vying for the nomination. 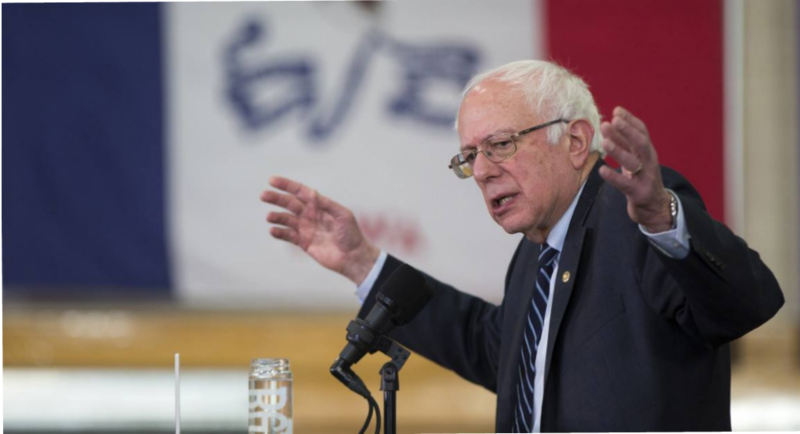 This time, Sanders will also be competing with more Democrats who can lay claim to far-left allegiances. He might even have “socialist” competition. 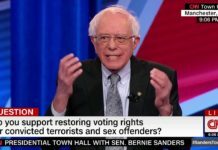 Add to that his problems with employee sexual misconduct on his last campaign, and Sanders looks a lot less attractive this time around.